Humanitarian fears grow as Russian and Syrian FMs signal all-out attack on last rebel-held stronghold is imminent. The Syrian government and its major ally Russia have signalled that an all-out offensive to retake the last rebel-held province in Syria is only a matter of time, raising fears of a major humanitarian crisis. Speaking at a press conference in Moscow with his Syrian counterpart Walid al-Muallem following a closed-door meeting, Russian Foreign Minister Sergey Lavrov stated that the majority of Syria had been “freed of terrorists”, save for Idlib, a northeastern province bordering Turkey. “What we need to do now is to wipe out those terrorist groups which persist, particularly within the de-escalation area of Idlib,” he said. “It is unacceptable that those terrorists particularly al-Nusra Front are using the de-escalation area of Idlib to attack the Syrian army and to also attack through drones the Russian military bases in the area,” he added referring to Hay’et Tahrir al-Sham (HTS), which is dominated by a rebel faction previously known as al-Nusra Front before renouncing its ties to al-Qaeda. For his part, al-Muallem said the Syrian forces will “go all the way” in Idlib but added that the army will do everything possible to avoid civilian deaths. 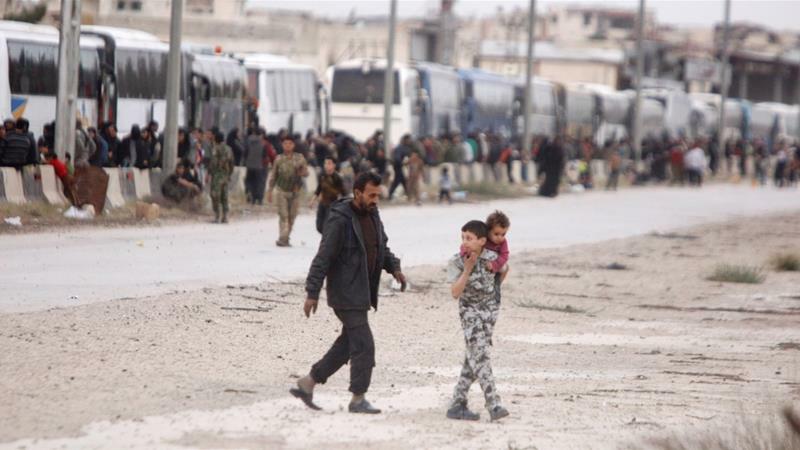 Idlib is home to nearly three million people, up to half of whom are rebels and civilians transferred en masse from other areas such as Aleppo, Eastern Ghouta and Deraa after they fell to Syrian pro-government forces following heavy fighting. The situation on the ground is further complicated by the direct presence of Turkey, which backs certain rebel groups in the area and operates as a guarantor power to ensure a “de-escalation zone” agreed upon with Syrian President Bashar al-Assad’s allies Russia and Iran at a meeting in Kazakhstan’s capital, Astana. In recent weeks, Turkish-backed opposition groups in Idlib have attempted to unify into a new coalition, with some 70,000 fighters pledging to fight against forces loyal to Assad. But HTS, the most dominant rebel force in Idlib and in control of about 60 percent of the province, has not joined the coalition. A major military operation in Idlib would pose a particularly threatening humanitarian situation because there is no opposition territory left in Syria where people could be evacuated to. Observers have previously warned as many as 2.5 million Syrians could try to flee to the closed Turkish border, creating a new refugee crisis. “The question is how costly the assault on Idlib is going to be,” said Al Jazeera’s Rory Challands, reporting from Moscow. “It’s not a question of if it will happen, it is a question of when and the severity of it,” he added, noting that the Russian and Syrian governments believe that the seven-year war will largely be over if they capture Idlib. Hundreds of thousands of people have been killed and millions displaced since Syria’s war started in 2011 with the brutal repression of anti-government protests. Speaking at the press conference, Lavrov called on the international community to join in the reconstruction process of Syria and “actively get down to work on modernising the infrastructure which has been devastated”. “We can see that there is a very swift mobilisation of the international community taking place particularly with regards to the return of the refugees and the revival of socioeconomic assets and facilities to make sure the country gets back to working order,” he said. Al-Muallem said Russia and Syria are united in their views regarding the next stage of rebuilding Syria. “It’s natural to think about Syria to find a reconstruction programme and to find a role for our partners in Russia to play a key role and priority in this,” he said, adding that both countries are very near to “putting an end to terrorism” in the country. Both ministers warned against any “act of aggression” from Western countries, particularly from the United States, citing staged chemical attacks by “provocateurs” such as the Syrian civil defence group the White Helmets being used as a pretext for such assaults. “This kind of provocation is being staged as to complicate the whole issue of combatting the terrorists in Idlib,” Lavrov said. “We have warned our Western partners clearly that they should not engage in this kind of activity. Al-Muallem accused the US and its allies of preparing for “another aggression to save al-Nusra Front” and protract the Syrian conflict. “We will practise our legitimate right in defending ourselves, but the consequences of the aggression will hit the political process definitely and everyone will be [affected],” he said. Turkey, which hosts some three million Syrian refugees, has already stated that it will not open its borders to accept further refugees in the event an assault takes place. The Syrian government said that it will open “humanitarian corridors” for civilians to evacuate, but according to Al Jazeera’s correspondent Zeina Khodr, many of the residents do not trust the government and remain fearful of their fate. Earlier on Thursday, UN Syria envoy Staffan de Mistura warned that a potential “perfect storm” is looming over Syria’s Idlib province, and expressed his willingness to “personally and physically” involve himself to ensure a corridor to evacuate civilians would be feasible. While it is not yet clear what kind of offensive the Syrian government will engage in Idlib, Khodr said that there are still “behind the scenes negotiations between the Russians and the Turks” on this matter. “What we understand from some sources is that Turkey is trying through its contacts in Idlib to convince Hay’et Tahrir al-Sham to disband itself to prevent this all-out offensive,” she said. According to Alexey Khlebnikov, an expert with the Russian International Affairs Council, creating another refugee crisis will be contrary to Russia’s main priorities and interests. “This is why Russia is now trying to negotiate with Turkey to reach a compromise on the deal to minimise damage inflicted on the population in Idlib,” he told Al Jazeera. But Khodr said that Western countries are not prepared to join in the reconstruction, insisting first on a “meaningful, credible, political transition” to Syria. “[The Russians] have sidelined the political transition which will involve the Syrian government sharing power with the opposition,” she said, noting that Russia is trying to cement Assad’s hold onto power. The narrative for Russia and Syria is that they have won the war and now want to talk about rebuilding the country and returning the refugees, she said. “They’ve appealed to the international community, particularly to the West, to give them money to rebuild the towns so that refugees will return and leave Europe but it seems they do not have the support as of yet,” Khodr said. While all eyes were fixed on the US-led military response to the alleged chemical attack in East Ghouta, a little-noted event occurred that could potentially have a much greater impact on Syria’s future. About 10 days ago, President Assad’s regime passed Law no. 10. The law foresees the creation of local administrative units in each district of regime-held territory that will be in charge of reconstruction efforts. All Syrians will be required to register their private properties with these units by providing proof of ownership, in person or through legal representatives. This must be done within roughly the next two months. The risk of noncompliance is that the Syrian state will take possession of the unregistered properties. With half the Syrian population displaced and many property transfers prior to 2011 having been done informally, this will be a mission impossible for many. Depending on the implementation and enforcement of the law, its most likely consequence is that the Syrian state will acquire a substantial amount of property in the near future—land, buildings, and other immovable assets—within the territories it currently controls. The real implication here is twofold. Most importantly, President Assad’s regime will lay its hands on the assets it needs to finance the country’s reconstruction and reestablish its power base, preserving its long-term viability and independence. Moreover, it will dispossess hundreds of thousands of Syrians—possibly millions—who escaped the fighting or forced recruitment. Law no. 10 is a Faustian masterstroke—both in its injustice and its ingenuity. The background is this: The World Bank has estimated the tab for reconstructing Syria at upwards of USD $200 billion. The Syrian regime has been broke for some time, kept financially afloat by the Iranian Central Bank and assorted Lebanese banks. Russia and Iran have neither the will nor the funds to finance Syria’s reconstruction. The Gulf countries, United States, and European Union have made it clear that likewise they will not carry Syria’s reconstruction without a “meaningful political transition”—a reference to their desire for real political concessions in the future governance of Syria. Most who are familiar with the conflict expect such a transition to happen when hell freezes over. And yet, reconstructing Syria is essential to President Assad’s regime. This is not because it cares about restoring basic services like healthcare and housing to a decent level, or about the return of Syrian refugees. Figures like Syrian Major General Issam Zahreddin (since killed in battle) made it abundantly clear some time ago that returning refugees should not count on a warm welcome. No. 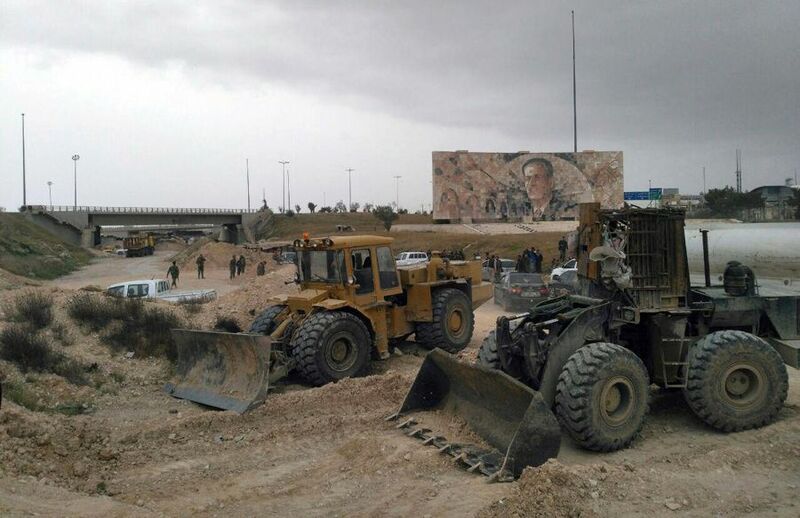 Rather, reconstruction is essential to the regime’s survival because it must reward the networks of businessmen, military, and militia leaders that helped it win the war. Reconstruction is also vital to the regime’s autonomy because it must re-establish its powerbase and independence vis-à-vis its international backers who will expect the future loyalty of a faithful Syrian ally when this conflict is over. Iran, for example, is already working to establish a long-term social, religious, and military presence in the country. The imperatives of regime survival and autonomy mean that its reconstruction logic will echo its warfighting logic: indiscriminate punishment of disloyalty to impose fear, selective co-optation, and deal-making with opposition groups where this offers a low-cost solution on regime terms and safeguards core regime interests. Initial urban reconstruction efforts of the regime in Damascus, Homs, and Aleppo, on the basis of Decree 66 (2012), already show how the regime uses high-end property developments to generate funds and reward loyalists through forcible dispossession below market rates, as well as the use of regime-linked real estate and construction companies. The nationalization of property enabled by the closely-related Law no. 10 will take this approach to a new level. An additional consequence of Law no. 10 is that it will enable large-scale demographic engineering by reallocating appropriated property to new owners. This will not necessarily be sectarian in nature as the majority of both Syrians and regime-loyalists are Sunni. Rather, it will create large loyalist urban centers to underpin the regime’s power base and limit the return of refugees, who are largely not perceived as supporters of President Assad. In addition to remaking urban centers as areas of repopulated loyalist concentration, the strategy will probably also involve undoing the existence of impoverished Sunni-belts around Syria’s main cities from which so many rebels were recruited. Insofar as these poorer suburbs are currently depopulated due to rebel recruitment, casualties, and flight, the regime is likely to use Law No. 10 to appropriate the land (in many such areas, property rights were not well established even before the war) and to then prevent their resettlement if and when refugees return. Any Sunni populations that have not fled but are still living in such suburbs at present will also be at risk of forced displacement and dispossession commensurate with the extent of their perceived disloyalty to the regime. It is clear that the regime has no problem initiating displacement on a large scale when it suits regime interests. Dealing with the suburban belts in this fashion will remove a source of resistance against the regime once and for all. Though these are the primary aspects of the strategy, Law no. 10 may very well additionally facilitate small-scale sectarian demographic engineering in a few strategic areas. The “four-town deal” that swapped the population of two Sunni villages with two Shi’i ones west of Damascus suggests that the Syrian-Lebanese border could be such an area. Incidentally, this particular deal was enabled by Qatar as the price for release of their captured royal hunting party in Iraq. If the re-entrenchment of the Syrian regime was not already a sad enough finale, the emerging parallels with the plight of many Palestinians are uncanny and will constitute a further source of international concern. Not only is the relative size of the Syrian diaspora growing fast, but Law no. 10 may well have an effect similar to the Israeli Absentee Property Law, which effectively nationalized Palestinian lands whose owners had fled after November 1947. The Israeli/Palestinian problem still haunts the world’s conscience 70 years later, though apparently not enough to end its neglect and resolve the problem. Law no. 10 just brought this scenario one step closer to reality. 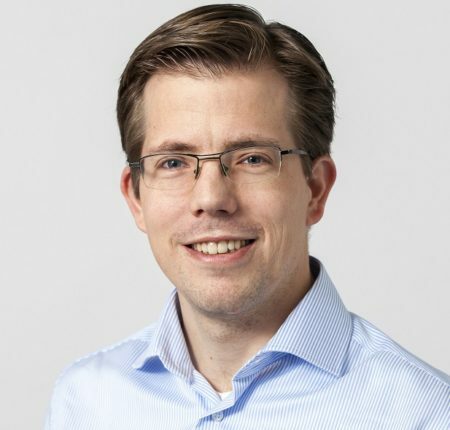 Erwin van Veen is a senior research fellow at Clingendael, the Netherlands Institute of International Relations. Follow on Twitter. Legislation could allow government confiscate properties of displaced Syrians unless they prove ownership in 30 days. As thousands of Syrians flee their homes in Eastern Ghouta to escape a fierce air and ground offensive led by pro-government forces, President Bashar al-Assad has introduced a new law which can potentially see the state confiscating the lands of millions of displaced people. Law Number 10, introduced earlier this week, calls on Syrians to register their private properties with the Ministry of Local Administration within 30 days. Titleholders must either provide proof of ownership documents themselves, or ensure a relative does so on their behalf. Otherwise, they face having to relinquish their properties to the state. Nicosia — Every day, dozens of photos taken by stringers in Syria land at the photo editing desk in Nicosia, AFP’s headquarters for the Middle East and North Africa. Sometimes, we get hundreds. Like on March 13, when we got 350. It’s been like this for years. On March 15, the Syrian conflict entered its eighth year. Since the beginning, AFP has been one of the very few international outlets to maintain constant on-the-ground coverage. To pull this off, we have a network of stringers that we built over the course of several years. This is probably unequalled among major foreign media outlets. Meanwhile, in eastern Ghouta, a rebel-held suburb of Damascus where Russia had announced earlier this year that a ceasefire would take hold, children living under siege are starving. Despite the “de-escalation” deal, Syrian government forces continue to pound the area, backed by Iranian and Russian allies in an attempt to score a decisive victory. These two scenes spoke volumes about Russia’s calculus, and about the realities it has helped create on the ground. That the Russian president has now announced a substantial troop withdrawal must be taken with a barrel of salt. Similar pledges have been made before and remain unfulfilled. On Tuesday a Kremlin spokesperson said Russia would retain a sizable force in Syria to fight “terrorists”. Russia’s definition of “terrorism” in Syria is like that of the Assad regime, which equates it to political opposition. Mr Putin is keen to speak of victory. In Moscow he has announced that he will run for re-election next year. Bringing back some of the Russian forces – who are reportedly deployed alongside thousands of Kremlin-connected private contractors – can only be good for his political prospects. Russian casualties in Syria are a closely guarded secret, as are the financial costs of the operation. In geopolitical terms Mr Putin’s war in Syria has been a profitable investment for the Kremlin. He has capitalised on western strategic disarray and America’s reluctance to get drawn deeper into the conflict, an instinct that predated the volatile Donald Trump. After Syria, Mr Putin travelled on to Cairo, where he met Egypt’s president Abdel Fatah al-Sisi, demonstrating Russia’s new clout in a country that since the 1970s has had privileged ties with the US. There is now talk of Russian military aircraft being able to use Egyptian bases. It is no small irony that Mr Putin has claimed victory over Islamic State: the bluster does little to hide the fact that his forces focused much more on targeting the anti-Assad opposition than they did the jihadi insurgency. The retaking of Raqqa was not a Russian accomplishment, but the result of a Kurdish-Arab ground offensive, supported by US-led coalition airstrikes. None of this has prevented Russia from claiming the diplomatic high ground. By changing the balance of forces and catching the west off guard when he sent forces in 2015, Mr Putin has built up his leverage. Whether he can deliver a peace plan is, however, a different question. The signs are that the Russian president would prefer to sideline, if not entirely obstruct, UN-sponsored talks in Geneva. It helps that these discussions have been convened in the hope, rather than the expectation, of peace. He has explored other formats, alongside Iran and Turkey, but these are complex partners. Iranian-controlled forces have grown more dominant in Syria than Mr Putin perhaps initially anticipated. It is also true that UN resources will be needed when – and if – Syria’s reconstruction is one day contemplated. Geopolitical power games have not ended in Syria, nor has the fighting. In eastern Ghouta, according to the UN, 137 children, including babies, are in urgent need of medical evacuation. By propping up a dictator who starves and massacres his own population, Mr Putin surely owns the desolation in Syria, as much as he controls military bases. Russia has returned to the Middle East, but its responsibilities in the bloodbath are equally on display. The project is about simplifying the meaning of the conflict in Syria and drawing small icons to refer to some issues in the daily life of Syrian families and Syrian people.